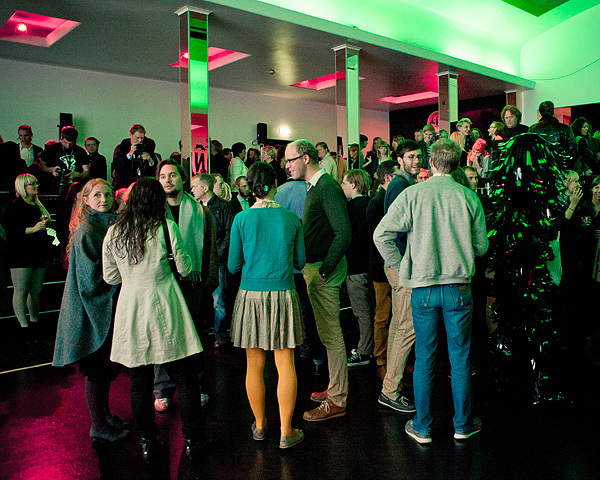 Year two of our attendance to RIFF, Reykjavík International Film Festival. Traditions are not always meant to be broken and this year’s opening event was, as the previous, characterized by an extremely relaxed atmosphere. 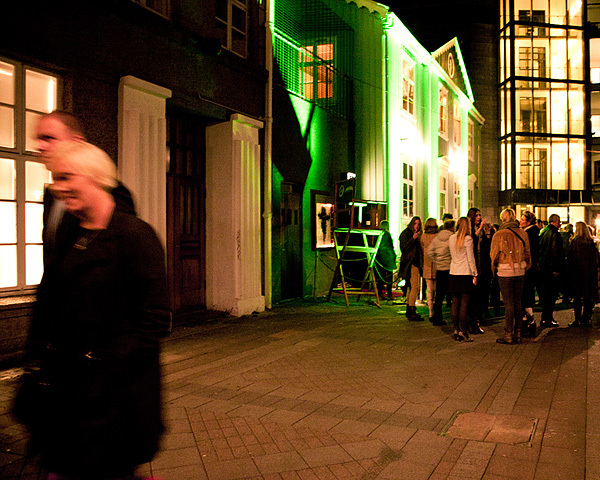 Nasa, a hugely popular club located in downtown Reykjavík, was the unusual setting for the event. Less than formal opening ceremony at Nasa for RIFF 2011. 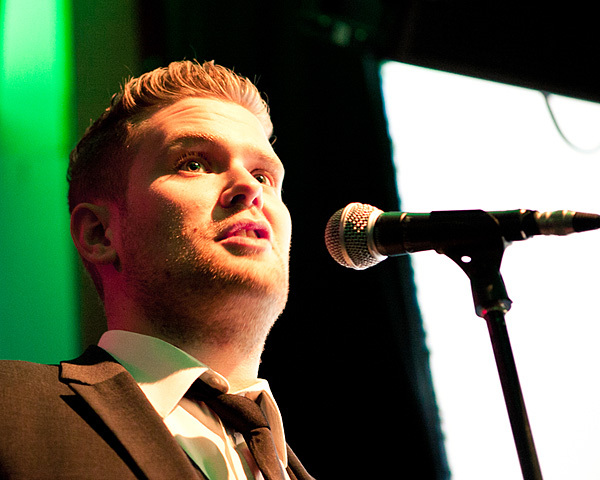 Host of the night was once again renown Icelandic comedian Ari Eldjárn. Jovially joking about some of the most obvious and awkward film industry clichés about Iceland, during his speech Ari was able to drag in names of the caliber of Eastwood and Kaurismäki in a humorous manner without flinching. Ari Eldjárn hosting the 2011 edition opening ceremony. Reykjavík Mayor Jón Gnarr also delivered a speech, half in Icelandic and half in English — many foreigners attended the RIFF’s opening at Nasa — emphasizing the importance of manifestations as the yearly appointment with the festival taking place in Iceland’s capital as channels to the recognition and the circulation of lesser known but deserving cinema. 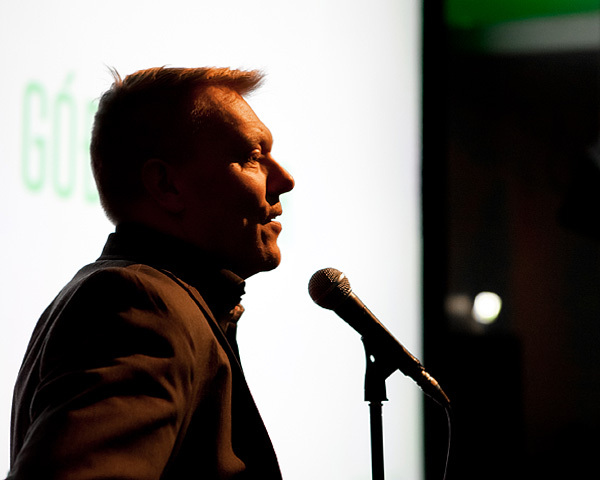 Jón Gnarr won in the course of this year the attention of several international media, thanks to the self-titled film Gnarr, which documents his ascent as a political figure at the peak of his career as an actor and comedian. 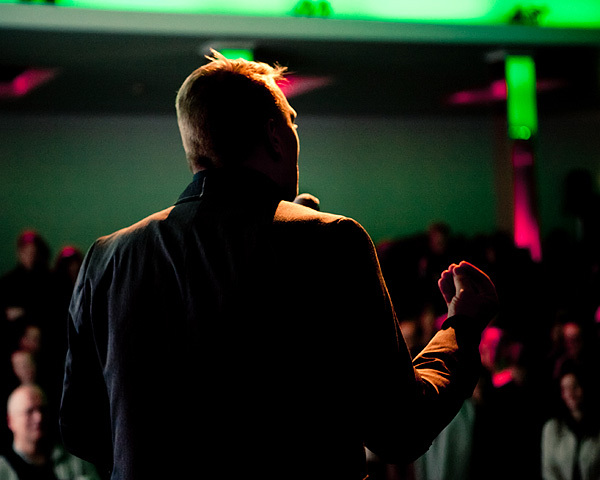 Jón Gnarr delivering his speech. I cannot say if I was more overwhelmed by RVK Mayor's speech or by the blinding background. Other special guests of the opening ceremony were Hrönn Marinósdóttir, the Festival’s director, and film director Guðný Halldórsdóttir. A crowded Nasa for Inni's screening. Outside Nasa, after the screening of Inni. Here is a short clip from the event, featuring Reykjavík Mayor Jón Gnarr — it’s just the English part of his speech. 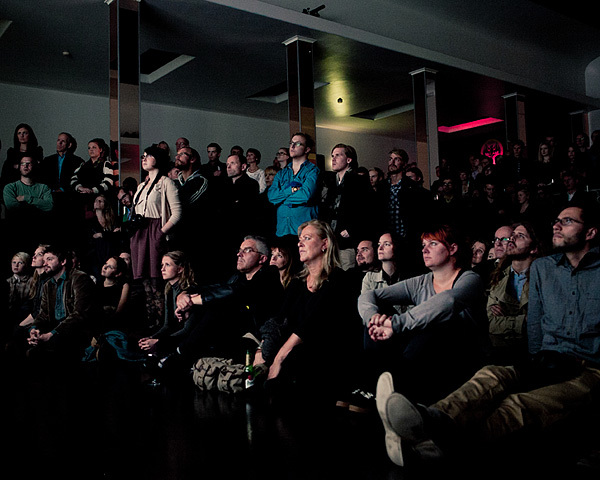 The screening of Inni, the long-awaited live documentary about Icelandic band Sigur Rós directed by Vincent Morriset, followed the opening ceremony.